Miss Purdy left her record of life in Rothesay in several formats. She created her own photo album. She collected postcards. But her collection of news clippings leaves a significant and consistent trail of clues as to her evolving interests. It is probable that she collected these stories as mementos of her experiences and interests. In essence, she applied a "filter" on her history. 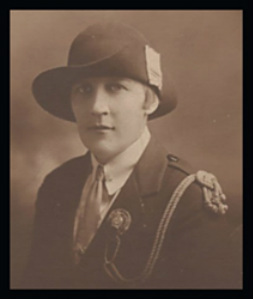 The collection was in the possession of Ms. Hazen (MacKay) Inches whose mother was involved in the Girl Guides, shared many interests with Ms. Purdy and was a personal friend. "Miss Purdy" was later mentioned through the memories of women who were her students or "charges" in the Voice of Women collection that was inspired by her probably, somewhat "accidental" legacy. The newspaper clippings plot a progression of interests. The first collection termed the "Redbook" (because the cover is red) covers the period from 1910 to 1916. The Redbook is of a social nature, a "high society" journal filled with notices of tea parties, outings, descriptions of clothing worn at significant events and marriage notices. The book is carefully assembled and was probably meant for sharing with friends and relatives. The "Ledger" picks up chronologically from the Redbook. Although it is not meticulous in its physical presentation, this scrapbook contains a wealth of data on numerous social events and groups including the Children's Aid Society, the Canadian Red Cross, the Girl Guide movement as well as stories on the Volunteer Aid Detachment. Ms. Purdy collected stories on what could be considered of relevance to "women's issues" and her active involvement in world events is the basis for the assertion that she progressed from "socialite" to "social activist" in concert with many of the forces that shaped the change in womens' role in contemporary society. The "Redbook" is the first of two scrapbooks of newspaper clippings collected by Dorothy Purdy. The concerns are of a "high society" nature with an abundance of descriptions of visitations, parties, what women wore at important functions and marriage notices. The "Complete Ledger" picks up chronologically from the Redbook. Although it is not meticulous in its physical presentation, this scrapbook contains a wealth of data on numerous social events and groups including the Children's Aid Society, the Canadian Red Cross, the Girl Guide movement which is further separated into articles about Girl Guide camping and a Girl Guide news photo album. There are stories on the Volunteer Aid Detachment, the Saint John Ambulance Association, the I.O.D.E. 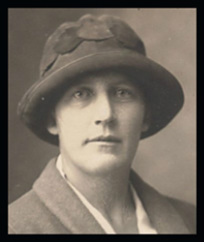 and World War I. Ms. Purdy collected stories on what would later be considered "women's issues" and her active involvement in world events is the basis for the assertion that she progressed from "socialite" to "social activist" in concert with many of the forces that shaped the change in womens' role in contemporary society.